Why is it so fun to mock the Red Sox? It is. 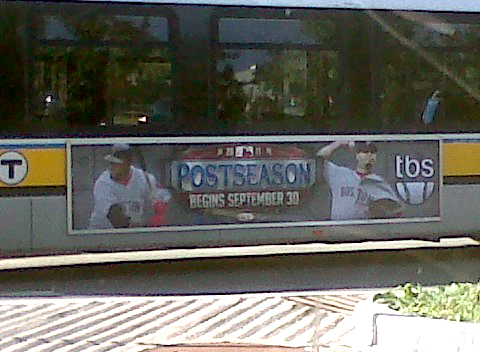 Here’s a bus apparently cruising around Boston. Whoops. This entry was posted in Baseball, MLB and tagged 2011 playoffs, big papi, boston bus ad, collapse red sox, josh beckett, mlb playoffs, Red Sox, tbs boston, tbs bus ad. Bookmark the permalink.